Exhibit to remember the fallen of the Big War. Exhibit of the state and private school of Parabiago, elementary and secondary school about the didactic project:"Intavolarsi: dalla vigna alla tavola - Il cibo dei 5 sensi". The sexhibit introduced on the occasion of the 300 years of the Church of Sant'Ambrogio of the Victoria is on-line. Exhibit on-line of drawings and works of the hero Paolo Caccia Domioni on the occasion of the 20 anniversary of the death of the Nerviano's hero (1896-1992). 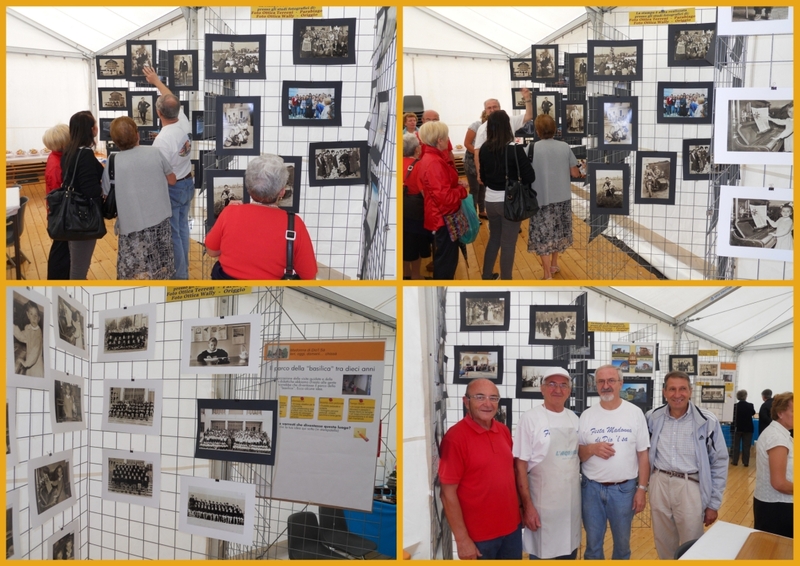 The ecomuseum and the Photo club La Rotondina have realized the exhibit about the national church monument. Exhibit presented to the Gajo schools. Exhibit for the 400 years of the Saints Gervaso and Protaso Church. The publications of the Ecomuseum in exhibit on the occasion of the reunion of the Net Ecomuseums of the Lombardy in Parabiago. A exhibit near Canale Villoresi. Near the library of Parabiago: exhibit "The man and the tree. History of the landscape and the relationship man-environment". An exhibit about the disappearing traditions and the places realized by Rapizzi middle school.